Rumours that Microsoft will be releasing a disc-less model of the Xbox One have gained weight with yet another leak, this time showing the console and its packaging. 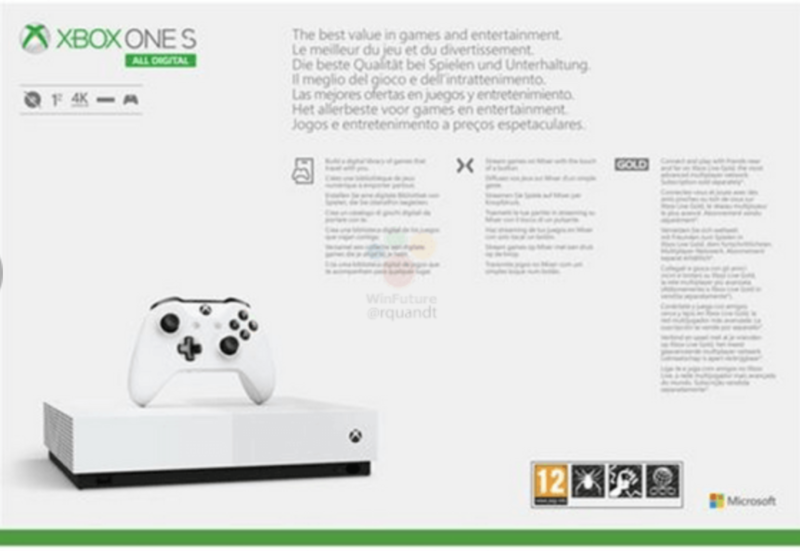 German tech news site WinFuture shared images of the device, which strongly resembles the white Xbox One S -- but without a disc drive or eject button. 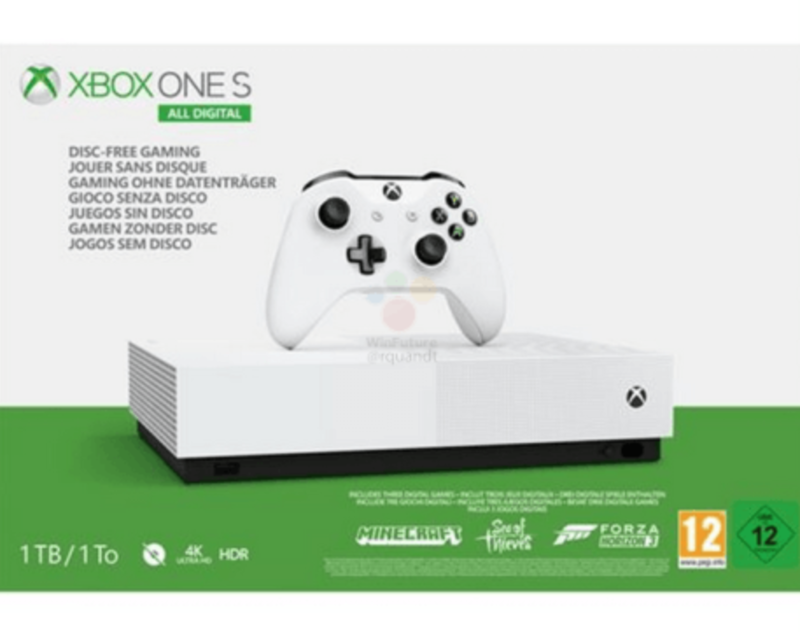 Images of the box reveal this device will be called the Xbox One S All Digital, and will feature a 1TB hard drive for players to fill with download games. The packaging carries a 12 age rating as the console will be pre-installed with Rare's Sea of Thieves and Forza Horizon 3, as well as Minecraft (for which the age rating is 7). According to WinFuture, Microsoft is expected to announce this today, as well as invite consumers to pre-order the device, with a release date of May 7 (which matches a previous report). WinFuture reports it will cost €229.99 -- the cheapest price point for an Xbox One so far. Without a disc drive, owners of the Xbox One S All Digital will need to purchase games directly from the Xbox Store, or subscribe to Game Pass, which has a library of over 100 titles. The box also emphasises that this is not compatible with any discs, but does support 4K Ultra HD video and HDR. You can check out pictures of the device and the packaging below.